They are not always blue but when you walk around London is impossible not to notice many buildings that have these distinguished plaques on their walls. The plaques tell you of important historical figures who have occupied that same building in the past (sometimes when and for how long). Can you think of a favorite writer or poet who have lived in London at some point of their lives? 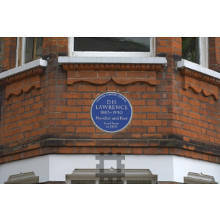 Chances are there is a building with a blue (or red, or brown) plaque to mark that. 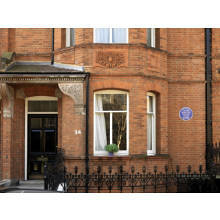 You can search the database of existing plaques and find out their addresses here. It is a very unique way to connect people and places. And as souvenir, if the topic interests you enough, there is a great book to take home here.